1 South Sudan's President Salva Kiir, right, chats with U.S. Secretary of State John Kerry as he greets Kerry at the president's office in Juba, South Sudan, May 2, 2014. 2 U.S. Sec. 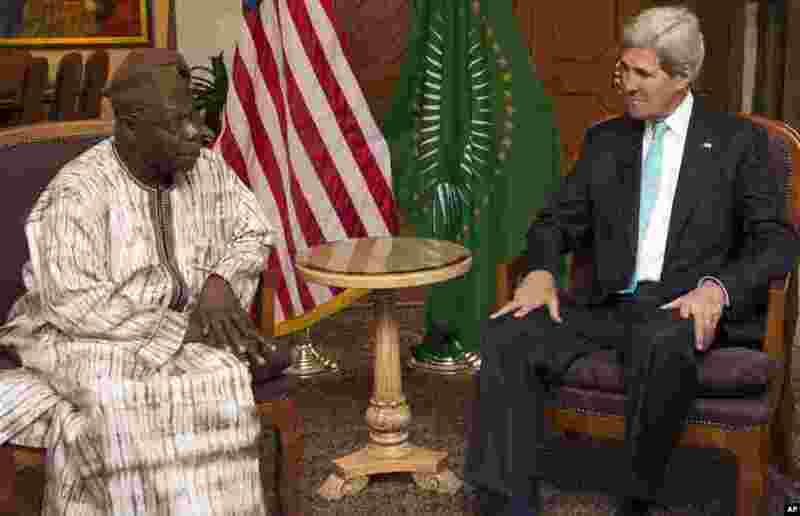 of State John Kerry, right, meets with Olusegun Obasanjo, chairman of the African Union's South Sudan Commission of Inquiry, in Addis Ababa, Ethiopia, May 2, 2014. 3 U.S. Sec. 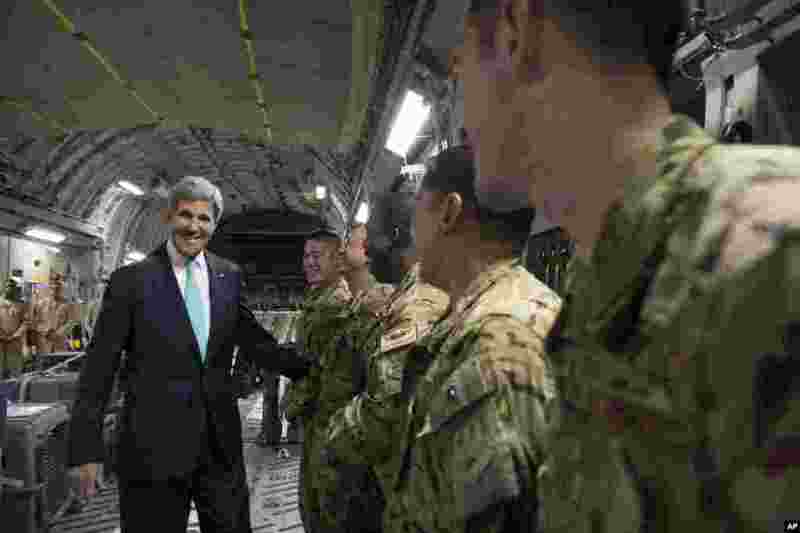 of State John Kerry, left, talks with the crew of a U.S. Air Force C-17 military airplane prior to departure from Addis Ababa, Ethiopia, enroute to Juba, South Sudan, May 2, 2014. 4 U.S. Sec. 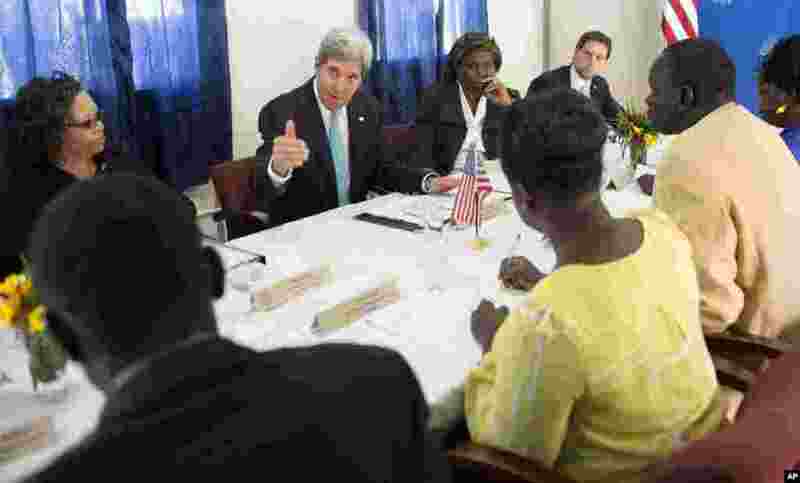 of State John Kerry, center, meets with civil society leaders at the U.S. embassy to compel authorities on both sides of the fighting to put a stop to the violence, Juba, South Sudan, May 2, 2014. 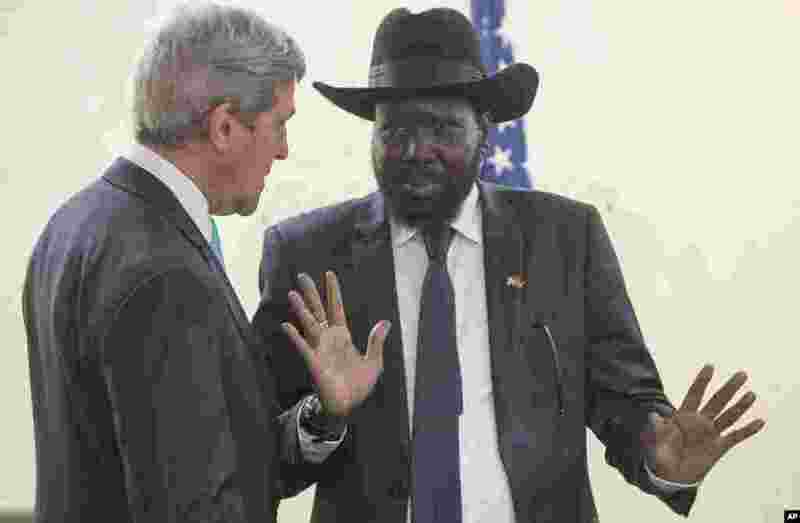 5 South Sudanese Foreign Minister Barnaba Marial Benjamin, right, welcomes U.S. Sec. 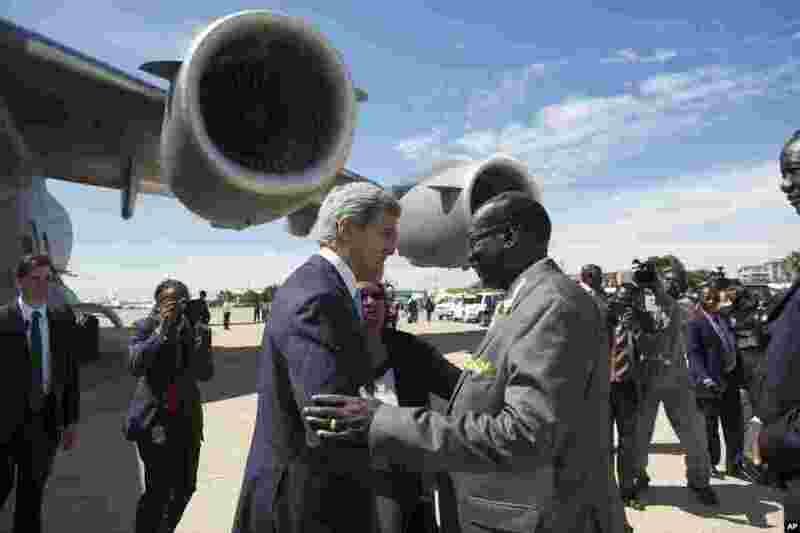 of State John Kerry upon his arrival at Juba International Airport, South Sudan, May 2, 2014.